EUR is losing its power not only as the result of Brexit issue but also the retail sector in Eurozone fell as well. The pair is moving with neutral bias creating bullish and bearish candles. 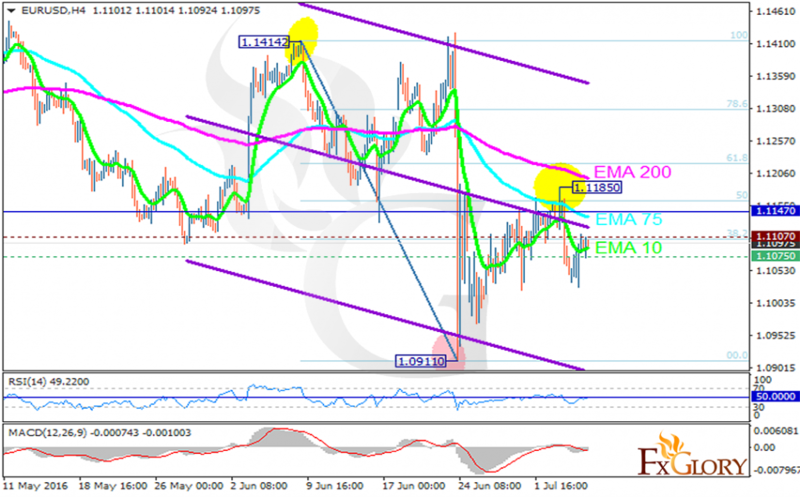 The support rests at 1.10750 with resistance at 1.11070 which both lines are below the monthly pivot point at 1.11470. The EMA of 10 is showing some strength to rise but it is located below the EMA of 75 and 200. The RSI has reached the 50 level and the MACD indicator is neutral area. There is no clear signal for traders at the moment, however, the support level breakthrough will pull the price lower to 1.1050, otherwise it will reach 1.1130.